I'm a little late in reporting this, but lately, my real job has been getting in the way of my blogging. 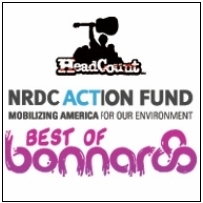 Music For Action is offering a free downloadable album, Best of Bonaroo, for sending an e-mail to your Senator, the President, or your local media outlet about climate change. One of the tracks that made the cut is Animal by Pearl Jam!